In my seemingly never ending quest for the “perfect” IWB Kydex holster, I just discovered the LightTuck Kydex IWB Holster from Vedder. From its description on Vedder’s website, it was exactly what I was searching for. That is, I wanted a single clip, low profile Kydex IWB holster with a range of adjustments for cant and ride height. But more importantly, what I did not like about all other single clip Kydex holsters was that they all seemed to use plastic belt clips. I really wanted a Kydex holster that used a metal clip, because metal clips are less bulky (lower profile) and seemingly more secure/stronger than plastic. Unlike the plastic clips used on many other Kydex holsters, the Vedder’s metal belt clip had very little “play” from within the vertical height and empty space within the clip itself, as the inside depth of the clip itself was about the thickness of my pants waistband and carry belt combined, keeping a snug fit and thus preventing it from unintentionally sliding along my belt as I moved or being pulled off of the belt when drawing my pistol. 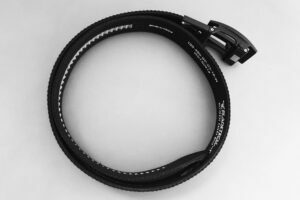 The LightTuck’s metal clip gives you a choice of belt size in either 1.5″ or 1.75″. 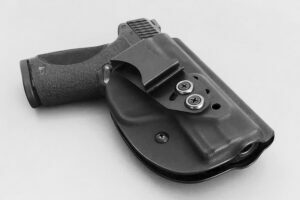 The fit and finish on the Vedder LightTuck Kydex IWB Holster is top notch. 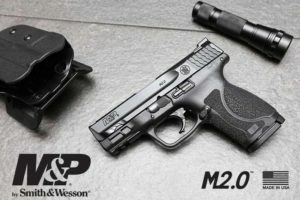 My EDC gun is a Smith & Wesson, M&P Compact M2.0 3.6″ WITHOUT A MANUAL THUMB SAFETY. 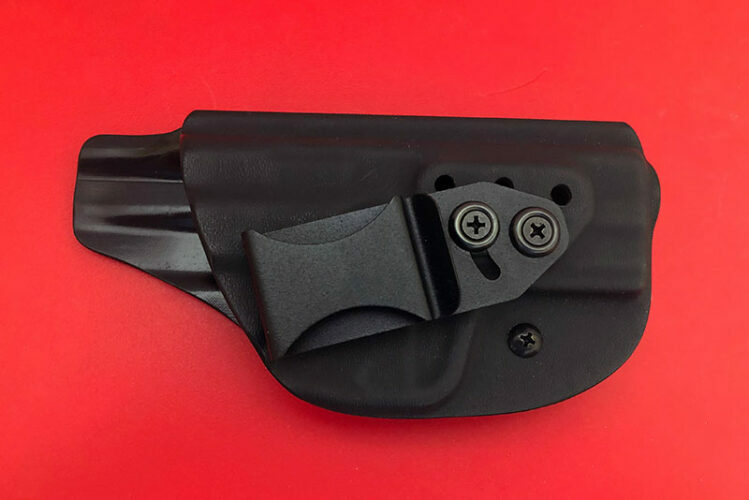 Therefore, it was important to find a single clip Kydex IWB holster that did not have a “bump” to allow for a manual safety because I did not want the extra space from the safety bump protruding into my side. Except for Vedder, just about every other brand of single clip Kydex holsters I researched included the bump for a manual safety. The fit and finish on the Vedder LightTuck Kydex IWB Holster is top notch. 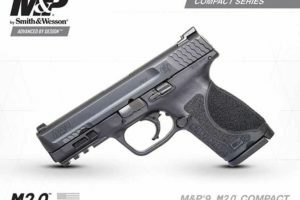 They begin with a strong .080″ Kydex material where the edges are nicely rounded. 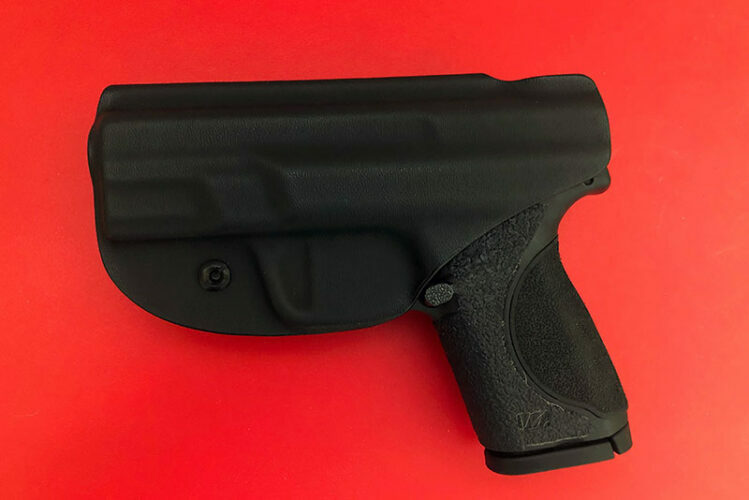 The front end of the holster where the barrel of the gun would be, is molded into 2 semi-circles that wrap around the left and right sides of the slide/barrel. That’s a very nice and unusual detail that I like a lot. See the photo below to see what I mean. Adjustable Ride Height. 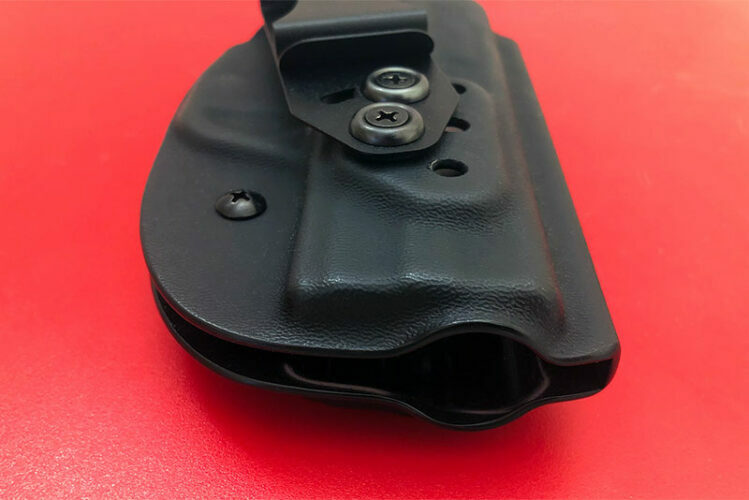 This holster comes with adjustable ride height featuring three levels of adjustment, allowing you to carry your holster right where you want it. Adjustable Cant. 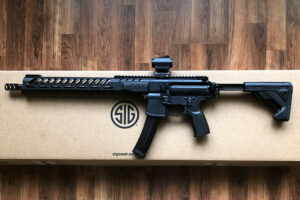 Up to 30° of adjustable forward AND reverse cant allows you to wear your gun in a variety of positions including a standard 3 – 5 o’clock position, appendix and cross draw. Adjustable Retention. You can easily customize the degree of retention to suit your tastes. Full Sweat Shield. 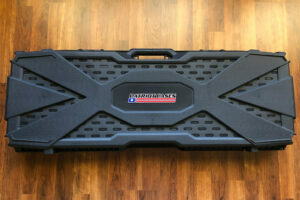 The sweat shield covers the slide to minimize the amount of contact your gun has with your body. Optional Claw Attachment. Want to use this holster for Appendix Carry? You can order a specially engineered “claw” that helps pull the grip of your gun closer to your body. .080” Kydex. This holster uses .080″ Kydex offering greater strength and durability for EDC. Warranty. All Vedder Holsters products come with a Lifetime Warranty. As long as you own the holster, if for whatever reason the holster fails you (excluding obvious neglect), simply return it and they will make it right. If they can’t fix it, they’ll replace it. (Buyer pays return shipping). Vedder shipped my LightTuck Kydex IWB Holster the day after I placed my order and I received it 2 days later via standard USPS…now that’s really fast. 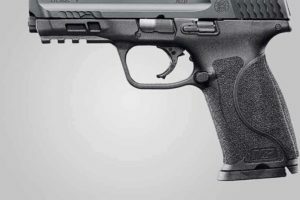 Vedder’s website states “ALL holsters are handcrafted to order and ship out in three business days or less”. Ladies, What Would You Do if a Man was Following You?